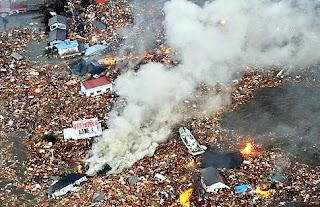 By now we've all seen the footage of the damage done by the earthquake and tsunami in Japan. Texting REDCROSS to 90999 will send $10 to the American Red Cross for aid in Japan. Please say a prayer for those who rescuing survivors may God guide and protect them, pray for those who have lost loved ones, the orphans and widows, for the Christians in Japan to share the gospel and their resources in this time of need.